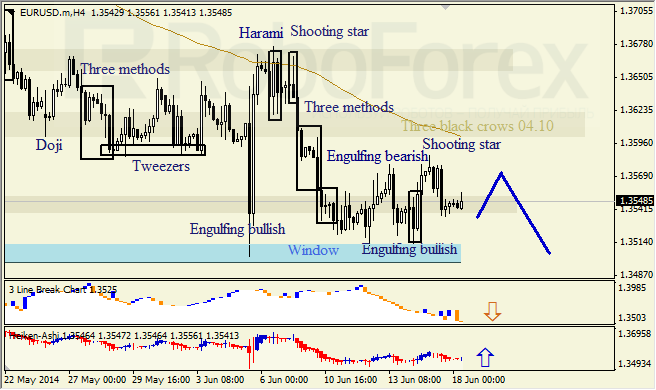 At H4 chart of EURUSD correctional phase within bearish trend is possibly continuing. Window has provided support. Three-Line break indicates downtrend, Heiken Ashi candlesticks indicate correction to this downtrend. 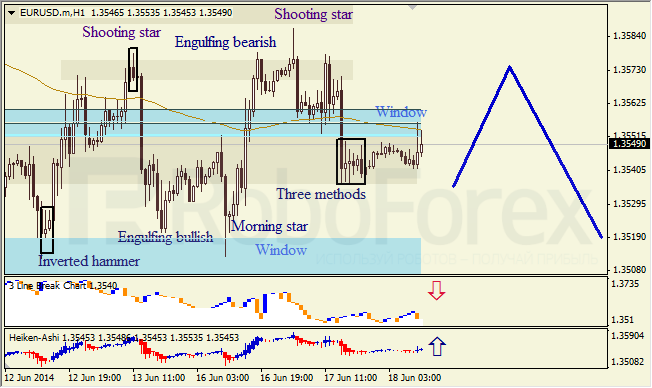 At H1 chart of EURUSD upper Window is considered to be a resistance area. Three-Line break chart and Three methods shows bearish destination. Heiken Ashi candlesticks confirm bullish pullback. 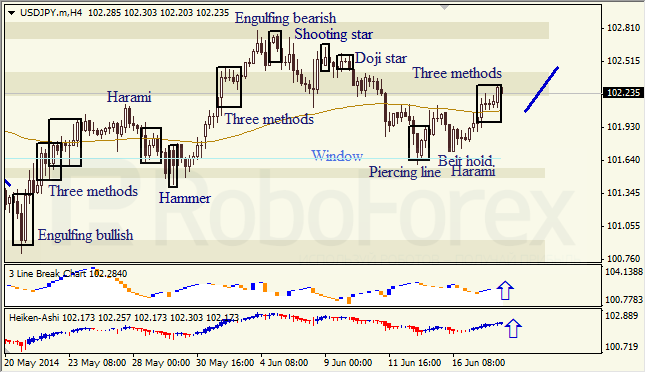 H4 chart of USDJPY indicates bullish continuation pattern «Three methods». Three-Line break and Heiken Ashi candlesticks confirm ascending destination. 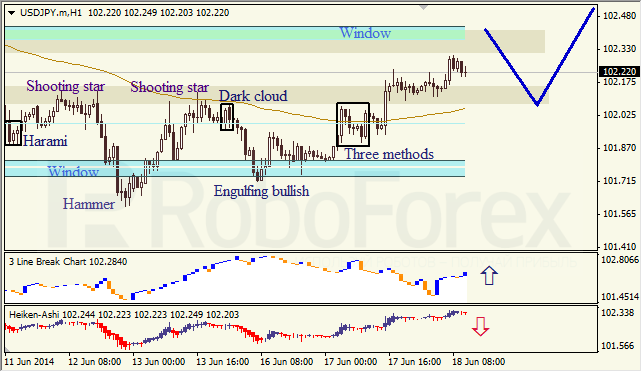 At H1 chart, we can see ascending trend, upper Window provides resistance. Three-Line break shows bullish destination, Heiken Ashi candlesticks confirm probability of upper Window to provide resistance.